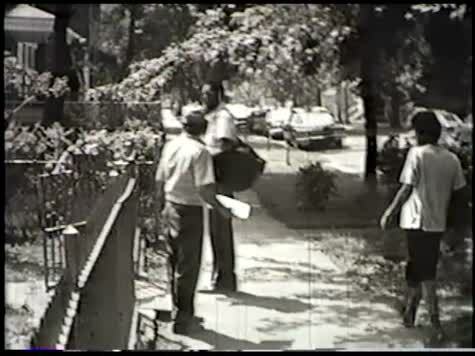 Everyday People is based on Elam's experiences as a letter carrier for the US Postal Service in Chicago, the various people she met while on the job, the political struggles they faced with the administration and the union, and larger issues related to the history of labor struggle and activism in the United States. Elam's notes and journals for the film, as well as the approximately 250 film, video and audio elements associated with it, provide an unparalleled level of access to her creative process, political and artistic ideas, and the practical, economic, and ethical issues that impacted her work as an independent artist and filmmaker. The unfinished film was made a variety of different formats. This version is a rough cut found on a VHS within the collection.